Everest Base Camp Yoga Trek is an excellent opportunity to get magnificent life experience in Everest region. This adventurous trek provides you unimaginable contentment to the trekkers by changing your mind and body. You will be taken to the most beautiful, serene, and inspiring place in the world to excavate your yoga and meditation practices. Early morning fruitful Yoga practices let you energize for the tiresome foothill excursion.Everest Base Camp Yoga Trek is one of the best choices among the trekkers. This trek allows you to witness Everest Himalayan sceneries, Tibetan Buddhist Heritages; Monasteries, Chhortens,and Mani Walls, which offers you spiritual splendid on your tranquil trek. 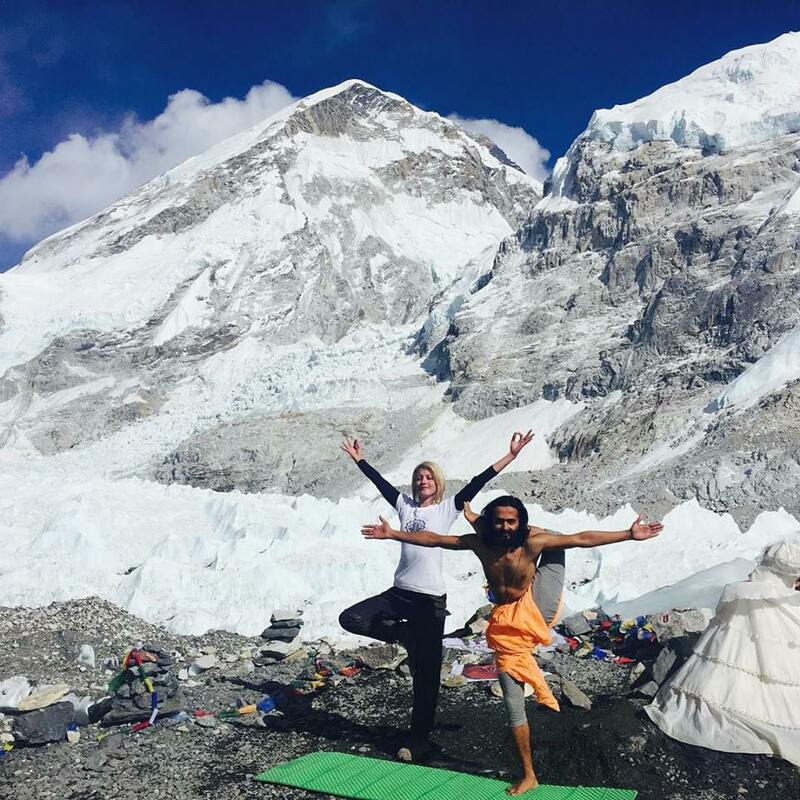 Doing Yoga and Meditation in the heart of the Everest Himalayan range and the base of the earth’s tallest peak will heal your soul. This 15-days adventurous trek includes wonderful sightseeing, Yoga Asana, Volunteering, Philosophy, Pranayama (breath work) and meditation. Everest Base Camp Yoga Trek officially start from Lukla, passing through the beautiful Sherpa Valleys and visit Namche Bazar.First-day accommodation at NamcheBazar, second days trek to Dingboche including one-day acclimatization, two days treks to Everest base camp. On the last day, the trekkers will reach from GorakShep to Kala Patthar and get an opportunity to have a close view of the mountain Everest. And then to Lukla airport to take a flight to the Kathmandu City. For the incredible Everest Base Camp Yoga Trek, you can contact Nepal Planet Trek and get expert assistance so that we will arrange the best Yoga Treks and tour in Nepal. Day 05: Acclimatization Day – Namche Bazaar: (3440m). Once you arrive at the Tribhuvan International Airport in Kathmandu, you will be received by the Nepal Planet Trek representative and you will be taken to the hotel where you can rest and relax. In the evening, Nepal Planet trek leader will provide you a brief orientation class about Yoga tour and trek. The next day, you need to be well-prepared for the trek. You should know all the essential factors and places while going to the trek.We will have a brief discussion about the trek in the evening. Before that, we’ll also manage for you to visit some religious and historical places in Kathmandu Valley. We will begin our sightseeing tour within Kathmandu, observing the UNESCO World Heritage Sites such as; Hanuman Dhoka Square, Pashupatinath Temple, and Swoyambhunath and so on. Boudhanath Stupa and Pashupatinath which are the most famous place in Kathmandu. Pashupatinath Temple is the most sacred site for Hindus that is situated on the bank of Bagmati River and is known as the principal temple of Lord Shiva. Soyambhunath Temple is also known as the Monkey Temple that owns a large number of monkey populations in the area. Overnight in the same hotel. Today, early in the morning after having breakfast, we will take a flight for Lukla which is situated at the altitude of the 2800m. So, there will not be the Yoga session today. If you need further crew meeting in Lukla then Nepal Planet Trek Leader will provide you. Then we officially start our trekking towards Phakding through the beautiful forest and Dudh Koshi River. Overnight at Phakding. Early in the morning, you will have a meditation session with the beautiful sunrise and have a breakfast. Continue trek to Namche Bazar which is also another beautiful place for the Yoga Trekkers. It is situated at the altitude of 3438 m. crossing the numerous bridge, you will officially enter the Sagarmatha National Park where you will know about the wildlife. After arrival to the Namche Bazar, you need to take about 3-hour trek through the series of pleasant villages to Jorsale. You’ll have a great opportunity to capture the great view of KusumKangaroo, Thamserku, and Holi Khumbiyela Mountain. Overnight at Namche Bazaar. As earlier Day, today also you will have a morning Yoga and Meditation session which make you relax and calm then after we will have a breakfast.Namche Bazaar is a very famous place for sight-seeing of Mt. Everest and all Himalayan ranges as well as wonderful sunrise and sunset, not only that it is also famous for a local museum. So early in the morning after having breakfast you will walk around one and a half hour to have a wonderful Everest view and sunrise. After a few hours back to the hotel you will take some rest. Then in the evening, you will enjoy the beauty of Namche quaint village and lively markets, where you will get unimaginable hospitality from the local people. Then you will visit the local museum and in the museum, you will get chances to see native’s flora and fauna as well as about the history of Mt. Everest. 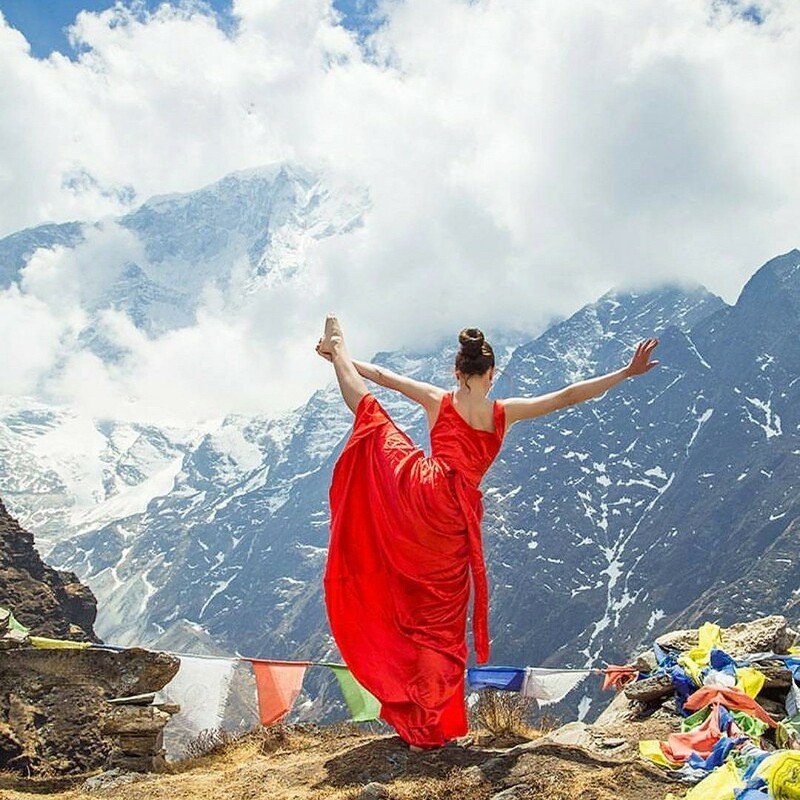 Early in the morning, you will do Yoga and some meditation which provide you energy to ascend up to the Tengbuche, It is the situation at the elevation of 3,870m also the well-known spiritual center of the Tibetan Buddhist in the Everest region. Overnight at Tengbuche. Dingboche is famous for the most beautiful trails with outstanding views of the enormous Mountain and deep valley and it is the perfect place for Yoga and Meditation. In this area, you will hear exciting prayer music which bells re-energize you. It is situated at the altitude of 4,360m. From the very beginning of the trek, you will explore the natural scenarios of the place. Whole day trek will be filled with forests of verities of lush trees such as birch, conifers, and rhododendron. On the way most of the time you will get chance to meet lots of yaks. This charming trail will continue to dip down to Devuche by crossing the Imja River until you reached to Dingboche. Overnight at Dingbuche. Dingboche is a place of the high peak from where trekkers will view so many mountains. In this day trekkers will do some Yoga and Meditations early in the morning and they will hike around 2 to 3 hours towardsDingboche to reach in the peak or Chhukung Valley for the wonderful views of Himalayan ranges, special views for island peak and AmaDablam Mountain. Throughout the journey,trekkers will simultaneously follow the invaluable suggestion of guides. Trekkers will stay overnight in the Dingboche. Early morning Yoga and Meditation will provide you energy and make you fresh which boost you to take a beautiful walk towards the peak of Lobuche, where the mountain such as Cholatse, Lobuche,andPumari lie. Lobuche is situated at the altitude of 4,940m. It takes around 3 to 4 hours for trekking. In the 10th day, you will enjoy meditation session in the morning and continue the trek.You need to trek almost 2 hours to reach Gorkshep which is situated at the altitude of 5,160m.During the journey, you will have beautiful views of Mt.Everest, Pumori, and other so many Himalayan ranges. In the Gorkshep, you will take delicious lunch and again you will continue your treks to Everest Base Camp. You need to trek around 4 hours to reach Everest Base Camp from Gorkshep, where you can enjoy the spectacular views of the Khumbu Icefall from the world renowned Mt. Everest Base Camp. In this day, you need to walk early in the morning around 4 am before having breakfast. 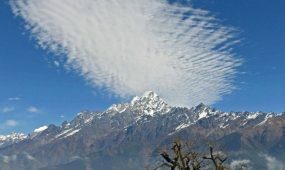 Trekkers need to climb around 2 hours with the wonderful sightseeing of Mt. Everest and Pumori to reach Kalapathar. Kalapathar is one of the most famous mountains that gives you the hilarious views of the Mt. Everest behind it.You will do Yoga and meditation in Kalapathar with phenomenal sunrise early in the morning. After you finished your Yoga you will explore and enjoy the Village Kalapthar, you need to trek back to Pheriche and you will stay overnight in the Pheriche. Today, early morning begins with short meditations session and after that, you will have a breakfast. Around 6 to 7 hours trek leads you to Kyangjuma which is situated at the elevation of the 3,550m. Overnight in the Kyangjuma. In this day, early in the morning, you will have a good Yoga and Meditation session. Then we will depart from Kyanjuma to Lukla, at the height of 2,800m. You will pass Sagarmatha National Park where you can discover wildlife and bird spices. Around 6 to 7 hours trek takes you to the beauty of cultured Sherpa Village called Lukla. In this way, you will finally end your trek. Overnight at the Lukla. This is your final day of Everest Base Camp Yoga Trek. Today you will not process the Yoga and meditation session. You will drive back to Kathmandu with the beautiful memories of meditations and adventurous trek. After you reach in the Kathmandu we will have a farewell dinner in Nepali restaurant which represent Nepali culture. your Yoga trek comes to an end this day. A representative will help you to reach you towards your final destination.